This story sounds like the stuff of fantasy or fantasy football. Of course, Arsenal were interested in the striker, but they were never going to realistically make a move for the striker. The Gunners need a top striker this summer, but top strikers cost top money. 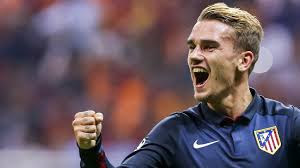 Arsenal boss Arsene Wenger was never going to spend £60million, not even for a player like Antoine Griezmann who is at the peak of his powers and would be perfect for the Gunners. Over the past few years, the French striker has developed into one of the most clinical forwards in the European game. If he ever became available the financial powerhouses would definitely be making moves for the forward. Most Arsenal fans would have welcomed the signing of Griezmann this summer and he would no doubt have been a big hit up front for the Gunners. However, I highly doubt there was ever a realistic chance that the striker was ever going to join Arsenal this summer. Hope springs eternal that Arsenal’s resident scrooge will put his hand in his pocket and bring in some players before the transfer window shuts. However, Arsene Wenger has a bad habit of dithering and procrastinating. The first step to curing a bad habit is to accept you have a problem, but unfortunately, Arsenal old Arsene is too stubborn for that. He insists he is right and it is hurting nobody but the team. A good boss identifies weaknesses in a team and strengthens those weaknesses. Wenger was once a great football manager. 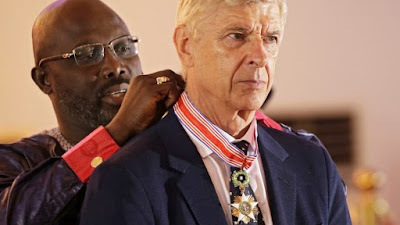 However, the veteran French boss has failed to move with the times and the whole club is suffering. It would be fantastic if Arsene could put his economics degree down for a bit and actually realise that his team are in new of new players that would be great. By the way, if you read the reports doping the rounds linking me with Mila Kunis then I am afraid there is no truth in that rumour either. Would Arsenal stand a realistic chance of signing Griezmann under Arsene Wenger?